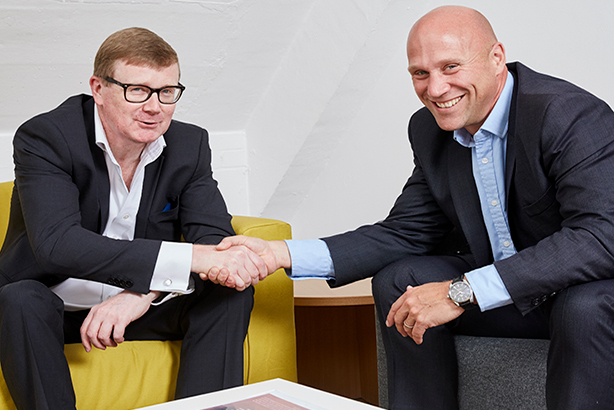 Communications consultancy MRM has acquired specialist media agency Capital City Media to build its paid media capabilities. Capital City Media specialises in media planning and buying for financial services firms, helping execute campaigns across print, TV, outdoor, radio, social and digital channels. This will complement MRM’s services in corporate and consumer PR, as well as social and digital media. Both agencies are relatively small, although MRM is the larger partner with about 20 staff. The acquisition will see Capital City Media (CCM) continue to operate under the same brand, but situated at MRM’s Covent Garden offices. CCM founder Mike Richards and director Becky Ford join an eight-member executive committee at MRM Group, working closely with MRM CEO Andrew Appleyard. Appleyard told PRWeek that acquiring a media agency, which is rare for a communications firm, would allow MRM to offer a more sophisticated service to clients. For example, CCM’s expertise in audience segmentation and analysis can provide valuable insights when putting together communications plans. "Our clients are looking for a more holistic service, and the way that I look at it is that clients are trying to tell a story at one end to a bunch of people at the other," he said. "What we’ve always been able to do is work out what that story is and how to articulate it, and Capital City will provide us with even greater ability to work out who our client’s audiences are and how to reach them. "We can then decide on the best way to deliver a communications plan, whether that is through earned media or paid or sponsorship of events... it allows us to take a much more holistic view of what a client needs to do." Another benefit of the tie-up is that it allows MRM to pursue new business opportunities beyond traditional comms briefs, and vice versa, while both firms will be able to cross-sell services. Richards said the agencies serve similar clients in the financial and professional services sectors, and have been working together for years. "We believe a combined and heavily integrated proposition will be immensely powerful and something we are extremely excited about taking to market," Richards said.